[Mar. 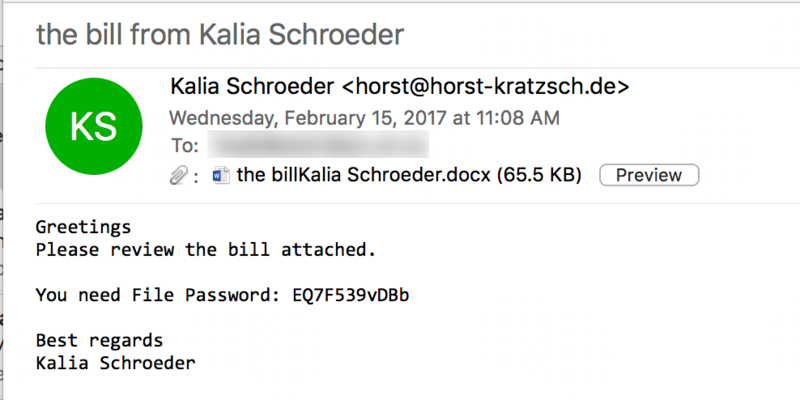 1, 2017] If you receive an unexpected email with an attachment and it includes a password to open said attachment, the email is almost certainly a spam message with a malicious attachment. Please do NOT open the attachment. 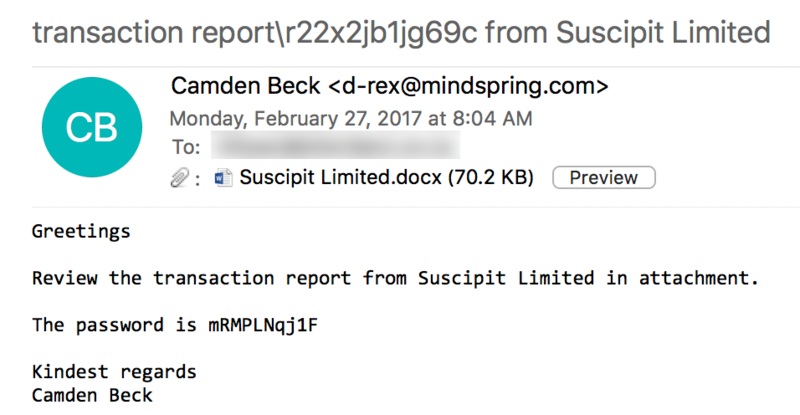 These types of emails can come from different senders, have different subject lines, content, and attachment names. Some examples are included below for your reference. 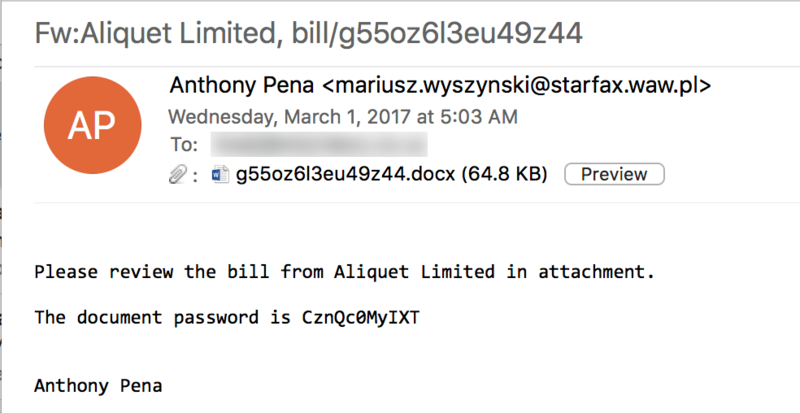 If you have opened one of these attachments, your computer may be infected with malware. Contact the Service Desk at ext. 2150 or email servicedesk@sheridancollege.ca right away to report this. If you receive any suspicious email to your Sheridan account and you are unsure to its legitimacy, contact the IT Service Desk first. We will be happy to take a look at the email and provide guidance.